Dr. Frank M. Painter was first introduced to Shaklee nutrition in March of 1997. Previously, he had been taking supplements, and felt that he was doing the right thing for his health. His sponsor challenged him to try the “High Energy Wellness Program” (which today would include Vitalizer or the Life Strip, plus either the Energizing Soy or the Shaklee Life Shake). Within that first month he noticed significant improvements in his energy levels, endurance, and concentration. Since that time he has whole-heartedly recommended Shaklee products to his patients. Frank developed an interest in clinical research while attending Palmer College of Chiropractic. While there he participated in several research projects, and also worked part-time at Palmer's Research department. 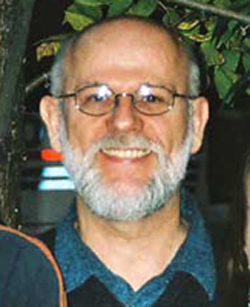 Dr. Painter graduated with Research Honors, and was later honored with a “Doctor-of-the-Year” award at the 1997 Centennial of Education Homecoming in Davenport, IA, by the Director of Palmer's Research department. That plaque hangs proudly in his adjusting room. Dr. Painter had already been a contributor to the most-visited, non-commercial Chiropractic information web site www.Chiro.Org. When he was introduced to Shaklee products, he created the Nutrition Section (www.chiro.org/nutrition/) to gather non-solicitous, research-based information about the benefits of nutritional supplementation. He also attended weekly nutrition meetings at the home of his mentor Barbara Lagoni, where his knowledge and enthusiasm for Shaklee supplementation continued to grow. Although the Nutrition Section does not mention Shaklee products by name, when you look at the list of supplements you will observe that the “generic” nutrient names are all related to Shaklee products. For example, the ACIDOPHILUS section relates to Shaklee's Optiflora system, BIOFLAVONOIDS relates to FlavoMax, etc. etc. Dr. Painter was deeply honored when Dr. Miller approached him in 2006 about taking over the HealthQuest Newsletter. He pledges to continue with Bruce's tradition of producing a newsletter that is both research-oriented and easily accessible to our readers.